As I was writing the series on myths around IDENTITY columns, I started to wonder whether copying a table into another using the SELECT…INTO statement copies over the IDENTITY property also. --3. Check the properties of the new column - is it an IDENTITY column? As can be seen from the experiment, the IDENTITY property propagates from one table to another via the SELECT…INTO clause. 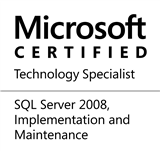 This entry was posted in #SQLServer, Blog, Imported from BeyondRelational and tagged #Identity, #SQLServer, #TSQL, DBA, Development, Myths, Series, Tips on June 24, 2013 by nakulvachhrajani. Title does not match with post. @harsh: I stand corrected. The title has been updated. Thank-you!